Most of us are familiar with Mitragyna Speciosa, also known as the kratom tree. But this famous resident of the jungles of Southeast Asia has a pair of lesser-known relatives that are also said to produce health-enhancing leaves. Both the Javanica and Parvifolia strains are sometimes used for medicinal purposes, though they are rarer outside of Asia. Are these Mitragyna variations worth seeking out and buying? Let’s compare all three plants for both chemistry and user benefits. 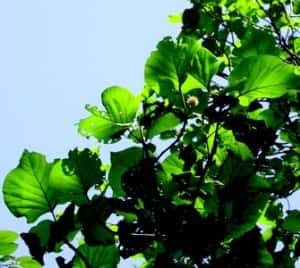 Growing up to 100 feet tall, the sturdy, stately Mitragyna Speciosa tree has been a well-known source of healing medicinal leaves for many centuries. In fact, it is theorized that the alkaloid rich leaves of this plant have been chewed as a folk medicine for as many as thousands of years! The reason is simple. Inside every leaf, a potent blend of over 40 naturally-occurring alkaloids, led by mitragynine and 7-hydroxymitragynine, offer a powerful set of stimulating and relaxing effects for the user. Comfort from feelings of depression. Protection of cells against free radical damage. The list goes on and on. As use of kratom products has become more popular across the entire planet, our understanding of how they work and what they’re capable of grows everyday. Of all Mitragyna strains, Javanica appears to be the weakest across the board as a medicinal remedy. While its leaves do indeed contain some alkaloids, it is missing one the key ingredients that makes kratom so potent – mitragynine. Instead, this plant is primarily host to different compounds known as mitrajavine and 3-isoajmalicine. Do all alkaloids have the same effect in the body? No, definitely not. 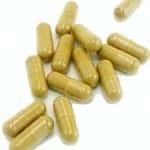 Users report that Javanica has a very light stimulating effect which feels like a distant, weak echo of the typical kratom effects. It is known to contain some analgesic properties, but again, not in the strength or sophistication that we are used to seeing from kratom. Little else is known about the clinical effects of Javanica. So few studies have been done, precisely because so few strong benefits have been noted. Mitragyna Parvifolia, known informally as “kadamb,” is native to northern India. This tree does not grow as tall as kratom – maxing out around 75 feet, but it does produce psychoactive leaves and bark which have been used locally as a folk medicine. Again, we find a different set of alkaloids in this plant with unique effects, like dihydrocorynantheine, isorhynchophylline, hirsutine, and rhynchophylline. 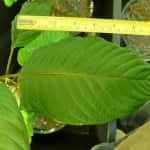 Curiously, this plant is sometimes marketed as a form of kratom called the “Mellow Gold Strain,” but its effects have not been rated as highly as kratom in any department. Users report sharp, jagged bursts of intense energy, with no relaxing component. Effects seem to come on quickly but last far shorter than kratom on average – around 90 minutes or less. 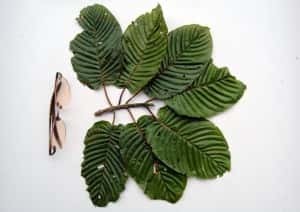 The leaves of Parvifolia do provide some pain relief, but many users report that this comes along with “the jitters” – a speedy, somewhat unnatural nervous energy. For this reason, it has not gained widespread popularity as a medicinal in the West. Clearly, it goes without saying that Mitragyna Speciosa is the most popular among all of its sister strains, and with good reason. 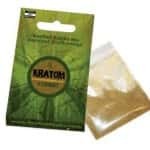 Kratom products provide comprehensive, sophisticated, balanced effects. Across of broad range of sub-strains from various regions, kratom has reliably been shown to outshine its horticultural relatives for relaxation, stimulation, pain relief, and overall quality and duration of effects. Once you start to learn more about the many forms of kratom that are available to buy, the number of choices can be overwhelming. 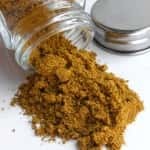 Plants like Mitragyna Javonica and Parvifolia are vital parts of the herbaceous kingdoms of Southeast Asia, and while they do have some benefits for humans, they do not seem poised to replace our beloved Mitragyna Speciosa kratom plant any time soon. For maximum efficacy, strength, and sophistication, stick with the time-tested, well-documented benefits of kratom.